Pull it up. 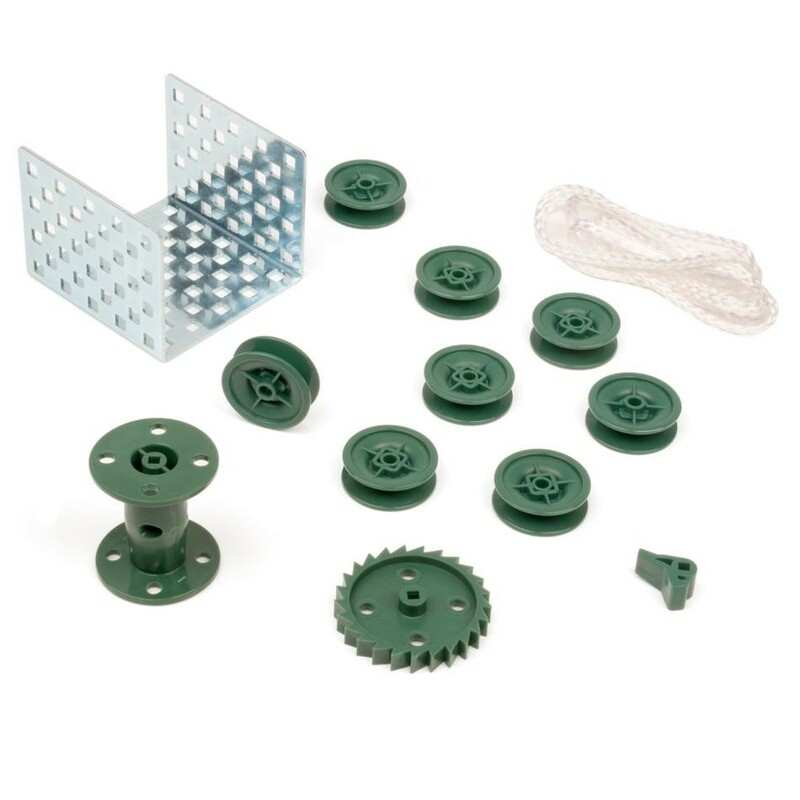 This kit provides the ability to implement a winch and pulley system and create block and tackle mechanisms to utilize mechanical advantage. NOTE: Motor and mounting hardware not included. Availability: 28 In Stock. Backorder available. 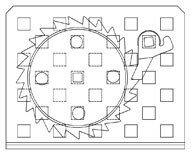 The image to the right shows how the pawl engages with the ratchet wheel. The VEX Ratchet and Pawl must be mounted in specific configuration to avoid slipping of the Ratchet Gear. The image to the right illustrates proper mounting of the VEX Pawl in relation to the VEX Ratchet Gear. 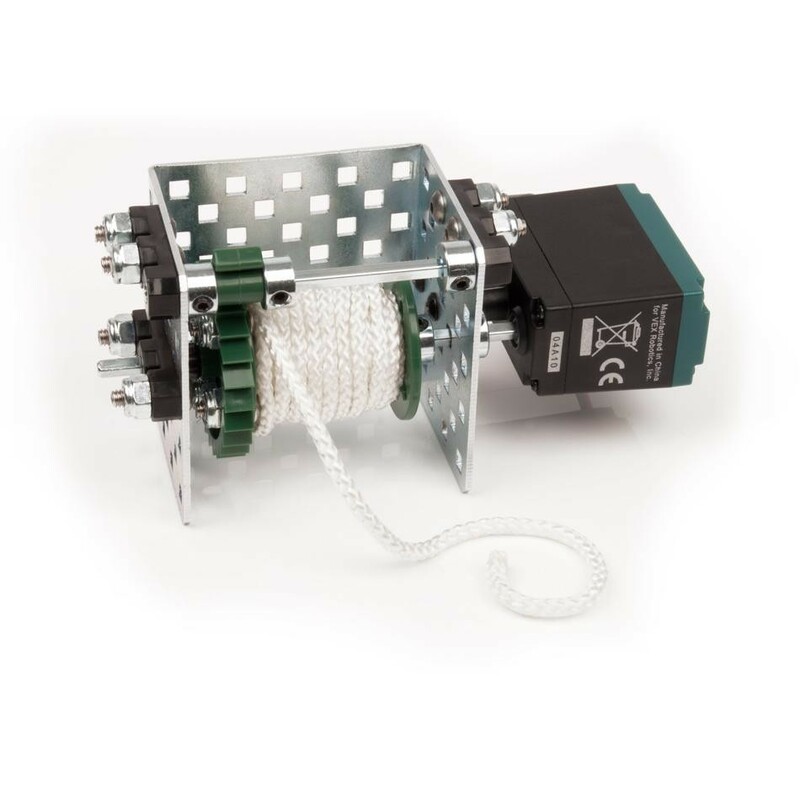 The pawl can be spring loaded with a rubber band so it is always in contact with the ratchet wheel, or alternately can be driven with a servo or motor so the user can control engagement. Compatibility : Ratchet Gear mates with the Pawl only. 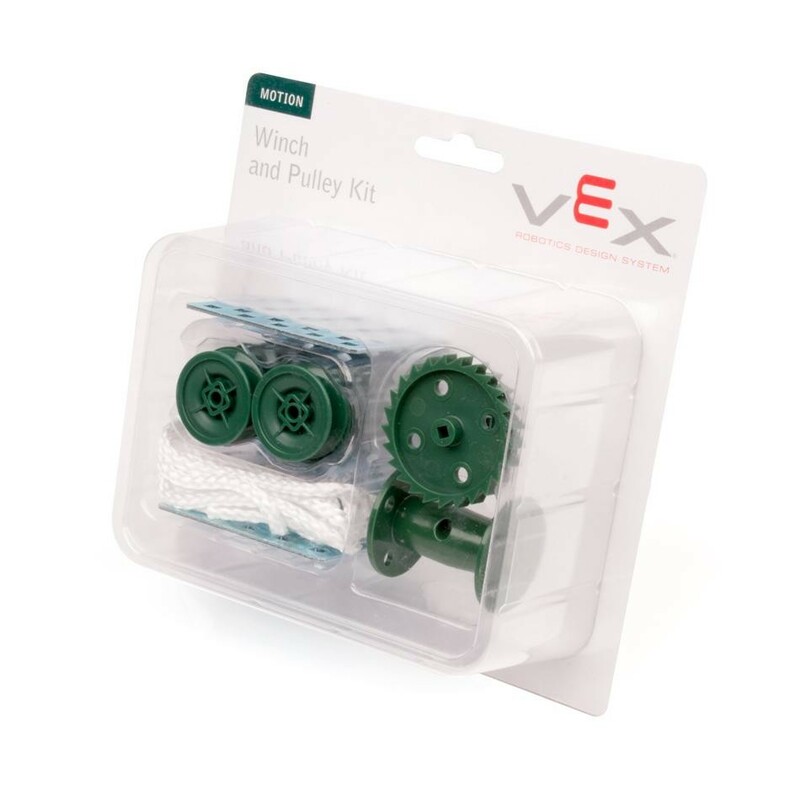 Winch Drum, Ratchet Gear, Pawl and Pulleys work with VEX Square Shafts 0.125" (3.2mm). Winch Bracket: Cold Rolled Steel per ASTM A-1008 CS Type B (approx 40ksi tensile strength). Rope: Nylon, Solid Braided (Ultimate Tensile Strength: 100lbs). Winch Bracket: 0.182 square (VEX standard).